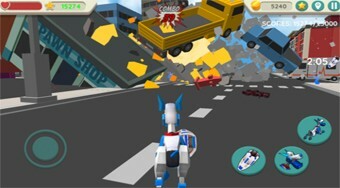 Do you like Robot Dog City Simulator? Share it with your friends. Move around with a robotic dog, demolish things, raise money, and fill missions.